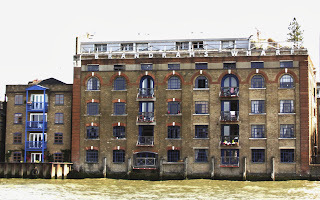 The Brandram name is closely associated with Rotherhithe due to its massive factory operation near today's Canada Water, and the attractive brick-built Brandram Wharf just outside Rotherhithe Village. The Brandram Brothers factory was the 18th Century amalgamation of two Lower Road chemical factories, one belonging to the Brandrams and the other belonging to James Dummelow. The factory operation was located on the site now occupied by the Canada Estate (the two early 1960s tower blocks near Canada Water tube station). 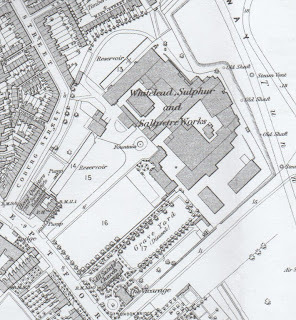 It is shown on Horwood's 1913 map at the end of Neptune Street, as two large buildings but by the time the 1868 Ordnance Survey map was produced it was a much more ambitious enterprise, clearly marked as "white lead, sulpher and salpetre works." The nearby church of All Saints is no longer standing, and its churchyard is now the King's Fields. For a period the amalgamated company was known as Brandram, Dummelow and Co., before becoming Brandram Brothers. They were manufacturers of paint pigments, including some fairly noxious chemicals, like white lead, saltpetre and oil of vitriol (sulphuric acid). Their factory was first established before the docks started occupying the entire peninsula. Stephen Humphrey states that in 1800 Samuel Brandram "redeemed the land tax on no fewer than five acres," and that by 1882 it had around 90 employees. The Brandram company also had properties and interests elsewhere in London. 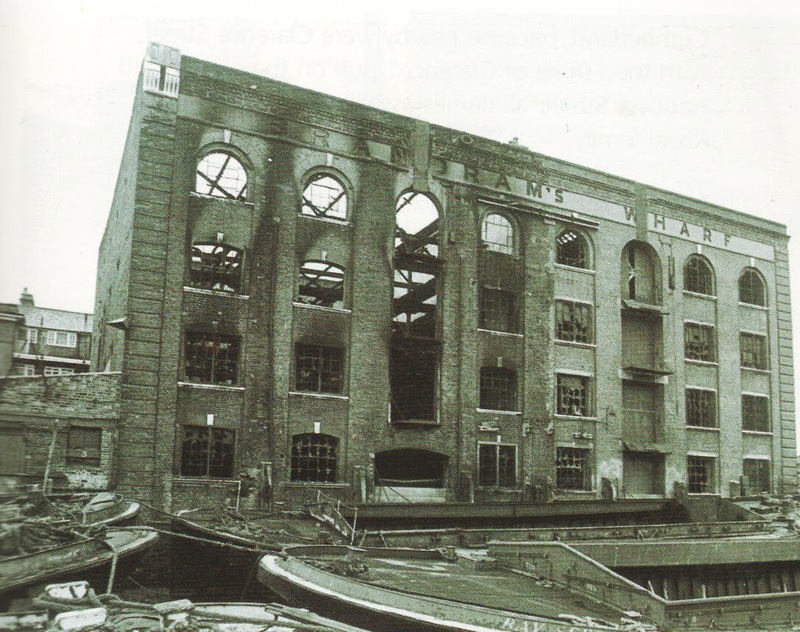 The factory closed in 1958 and was demolished for the construction of the Canada Estate in 1962. The Brandram occupation of Rotherhithe Street was confined to their warehouse just to the east of Rotherhithe village, which was built in support of the factory. 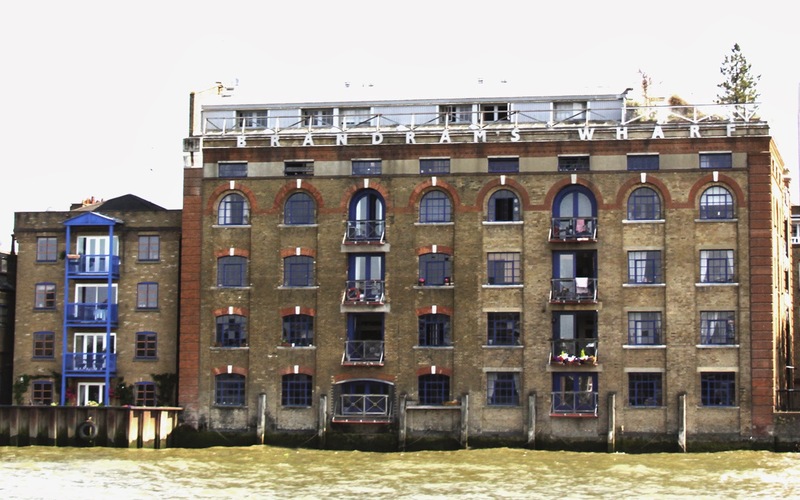 Brandram's Wharf is a four storey building at 127-131 Rotherhithe Street, just outside Rotherhithe village, with a Thames frontage. It dates to the mid to late 1800s and was converted to apartments in the mid 1980s, when it was known for a time as Brandram's Court. It is one of the more consciously engaging buildings, with its atractive coloured brickwork and arched windows. Brandram Brothers moved out of the warehouse in the late 1800s. It was converted into housing association flats in 1984-8 by the architectural firm Levitt Bernstein Associates. 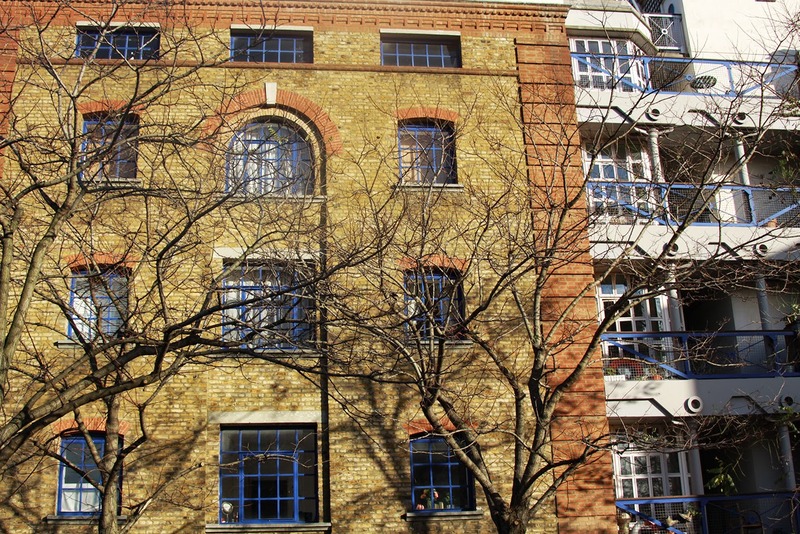 The 80s conversion preserved some of the outer walls, but turned part of the street frontage into a courtyard and area, whilst the apartments look out over the Thames.Its conversion has retained its outer walls, remaining faithful to its original appearance, whilst completely reinventing its interior arrangement, the building having been gutted by fire. Today the building is Grade 2 listed and is currently operated as a co-operative venture managed by the Brandrams Housing Co-op, its membership restricted to low income single people and childless couples aged 18 and over, with a strong living or working connection to the London Borough of Southwark, all of whom must be willing to participate in the co-operative and Brandrams Housing Co-operative. Warehouse, now restored and converted into flats. c1870-80, C20 rebuild to west, late C20 new internal structure set back from street elevation which now acts as a screen. MATERIALS: stock brick with red brick dressings, recent extensions to roof behind parapet. EXTERIOR: 4 storeys, 8 bays. Street and river fronts have channelled red brick quoin pilasters and windows and hatches contained in full height round-arched recesses with keystones. River front: pair of stone fluted console stops terminating the entablature above eastern pilaster strip which does not appear on the presumed later doubling to the west. Round-headed arches to 3rd-floor windows, those on lower floors to eastern half with segmental arches and keystones; hatches (now balconies) and other windows with concrete lintels. Rendered frieze (now pierced with small windows) above 3rd floor, brick dentil cornice and parapet with coping above. Street front: similar treatment of windows and hatches, many now with concrete lintels. Ground floor wider openings with white and grey brick bull-nosed reveals. Continuous gauged red-brick archivolt and impost band to 3rd-floor arches, red-brick dentil cornice with parapet above. East return blank. West return much altered late C20. Research by Margaret Sparks of the Thames Discovery Programme provides the information that Samuel Brandram (c.1743-1808) was an artists’ colourman, and a member of the Wax Chandler’s Company who both manufactured and sold paints. He was based in Sise Lane, Walbrook. There's a memorial to him at St Stephen's Church, Walbrook. I was unable to find any reference to him on the National Portrait Gallery website, which Margaret Sparks says provided her with the above details about him (including painters who bought their paints from him), but a portrait of him by John Hoppner is shown to the left. The familiar Helen Peel almshouses on Lower Road, which were built in 1901, were paid for in part by Charles John Peele, in memory of his mother. Charles Peele was a partner in Brandram's at the time. According to the London Gazette of April 13th 1897, the executors of his will were Reverend Henry Evan Brandram Peele and Andrew Brandram, suggesting some family connection between the Peeles and Brandrams. Although neither Charles nor his executors were resident in or near Rotherhithe at the time of his death, all living in rather more privileged areas, the investment in the almshouses suggests a close personal tie with Rotherhithe. Thanks for the great post on Brandrams. Told us things even we didn't know! Thanks very much for the correction, which I have now made on the main post. I'm always so grateful for people keeping a weather eye on me! Great to be in touch. Andie. 1. Brandrams was never a housing association, it was always a housing co-op. we used to pay SLFA to manage accounts but were not part of them. 2. I do not think it was Brandram's Court, ever. 3. 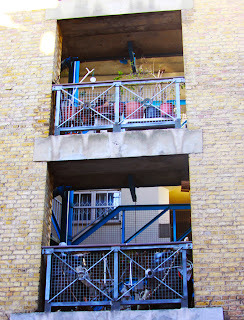 The flats are built back for the preserved façade because of wishes expressed by Swan Estate residents in prior consultation, to do with acceptable proximity. Thanks Carolyn - all good to know. It's great that people like you take the time to give feedback. I've found this article very interesting as this is part of my family history. I remember my granddad telling me how he had to go to London to close the family firm and sell it in the 1950s. I have been to see the Brandram Whaft and happy to see it see displaying the family name. Hello! I really enjoyed reading this post. Like Jonathan, I am also a descendant of Samuel Brandram; he was my 4g-grandfather. About the PEELE connection... Samuel gave several of his children middle names that were his partners' last names: Samuel Caldwall B., William Caldwall B. Richard Jaques B., Benjamin Holles B., and Francis Holles B. There is no blood connection to these partners. Samuel's daughter Ann, however, did marry a John James PEELE, probably before 1809. He was a wholesale linen draper, partner to Thomas TURNER and Thomas SCOTT. The Charles and other PEELEs of your article may be grandsons (or later descendant) of this couple. I have tried to contact Margaret Sparks without success. If you have contact information, would you kindly leave a comment at my blog (click on my avatar)? That way everything can stay private. Hi, out there and thanks to Andie for the in depth history to the Brandrams company in Rotherhithe. One extra thing on the refurbishment. The architects Levit Bernstein had a track record in this type of project. One of their flagship designs was the Manchester Royal Exchange Theatre which is suspended inside the Victorian building! They also won an architectural award with Brandrams. The cut out on the elevation facing what used to be the lovely but short-lived "Knot Garden", only just got through due to the Grade II listing. Incidentally, the provision of shared flats in this corner of the block I thought was a great way of achieving the co-operative ideals of the project. I must say it is really great to cycle past to see a prime riverside location turned into homes for everybody and read these posts that everything is going well due to the collective spirits of the residents and managing committee and their hard work. I must say a brief word about the lead architect, a young chap, must have been a junior partner in the firm, who tirelessly turned up at every meeting with his rolls of plans and diagrams on every conceivable minute detail of the finished design, which we were constantly arguing and revising. It was a great tragedy, being married with a young family, that he developed MND towards the end of the project, but despite all he valiantly and bravely soldiered on through thick and thin. Again, my memory is so poor I can't remember his name, but if there is a plaque somewhere in the building (which there is!) his name should be on it! But on to the now and future. All the best Brandrams and if there is an anniversary party coming up, please advertise it. I promise to bring some champagne! I was one of the founding members of Brandrams Co-op, along with my wife Sue, Werner Ullah, and Wally Menteth, who as you rightly say, was the prime mover for the project and kept our spirits up when we met with various setbacks (e.g. 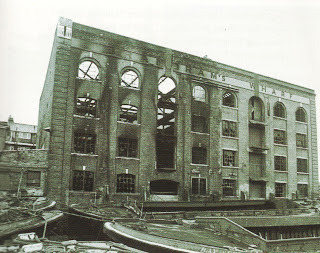 the fire that occurred in the building before it was redeveloped). I haven't seen Wally for 30 years, but I see he now has his own architectural practice, www.waltermenteth.com. Chris (now Lord) Smith was the development officer for the Society of Co-operative Dwellings who handled the development for us. Chris was selected as the Labour candidate for Islington South in the later stages of the project and left SCD, but he kept an interest in Brandrams and returned as an MP to open it formally. The architect at Levitt Bernstein who sadly contracted motor neurone disease was I think called Graham, but I can't recall his surname. Swan Road residents were initially opposed to the development: they wanted the Wharf demolished and made over to open space (so some of them would have acquired a river view) like the plot immediately to the west of Brandrams Wharf - which I still think of as the "Knot Garden" after some large structures modelling different knots installed there (which however didn't last 5 minutes)! However the development of a riverside site was inevitable, and the Swan Road residents didn't press their original objection. Sue and I left the Co-op management committee in 1984 when we bought a house in New Cross, and it became evident that we would never move into Brandrams. I still have fond memories of those days, however. I would also be interested in any 30th birthday party celebrations at Brandrams! Brandram Road, SE3 in Lee is named after Thomas Brandram who lived in the Cedars, in Blackheath. This is a very large house, now flats, and it was later the home of John Penn,m the marine engineer. When I was researching the early gas industry I came across several references to the firm and their purchase of ammonia and other by products from gas works. Have got more details on the firm. Bit more about Brandrams - this was from my Phd thesis. "In the early nineteenth century Samuel and Thomas Brandram set up a works for the manufacture of white lead. Sulphur and saltpetre were also handled there. In 1825 they installed a Boulton & Watt side lever engine with a diameter of 31 inches and 3-foot stroke. The firm also had wharves in Shad Thames and, later, a wharf on Rotherhithe Street"
and - some notes from a book by called Wax Chandlers of London b. John Dummelow. The wax chandlers of London. He says James Dummelow was apprenticed to Samuel Brandram on Lady Day 1800 and became master of the wax chandlers in 1846. In the early Part of the 19th Dummelow was a partner in the firm of Brandram Bros. makers of saltpetre, vitriol and white lead at Rotherhithe with offices in Size Lane in the City. 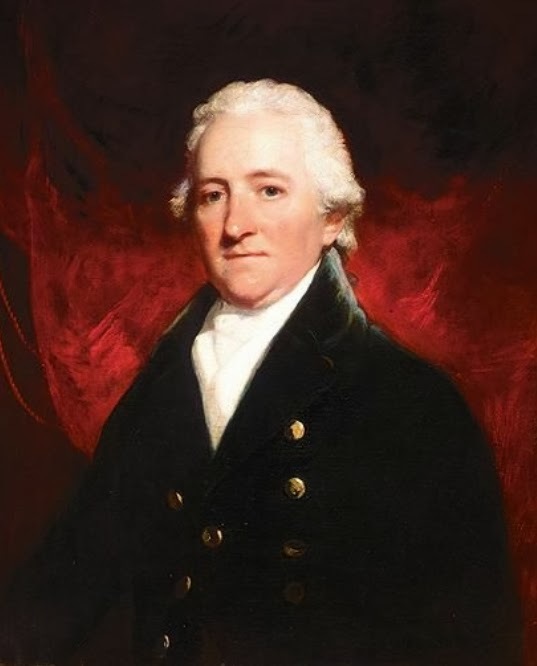 Seven members of this firm and its associates became masters of the co starting in 1770 with William Caldwell who founded minor charity, and continuing with Thomas Templemann, Thomas Brandram, Samuel Brandram, James Dummelow, Samuel Carless and Samuel Carless Caldwell original member of the firm. (I included that list because the Carlesses are an interesting link which I never followed up. Carless - in shape of a successor firm - sort of still exist at Harwich. They had a big works at Hackney Wick where 'petrol' - was invented. (remember that what fuels cars does not necessarily come out of the ground and British made 'motor spirit' was an important industry). I have been delighted by all the comments on this post, both correcting and adding to the information I posted. Thank you SO much. It is clearly time to re-write the post, and I will credit you all with your valuable contributions. Wel, we must have a 30th birthday party now!. I have been planting the idea around the co-op, to go with the plants in the courtyard, now enormous, and told @WalterMenteth who continues to do sterling work on development issues and projects in North Southwark alongside his architecture practice. If you are interested in the archaeology and history of the Port of London you may be interested in the Port of London Study Group, a self-guided research group that operates out of the Museum of London. Find out more at http://portoflondonstudy.wordpress.com. This blog is run with considerable assistance from excellent local history publications written by Stuart Rankin. His works are my starting point for all history posts. Stuart has set up a website, called British Transport Treasures, that specializes in out of print publications which can be downloaded as PDFs that can be saved and printed. Out of print publications are a nightmare for anyone attempting local history research unless they have access to a specialist library and archives. British Transport Treasures is expanding fast with an ever-growing catalogue of titles. Each of the publications is described with a magazine-style short review to explain the scope of the content, and provided with a preview of the cover and first page. There is a nominal cost for each, to cover the costs of hosting and running the site, and 5p per item sold is donated to Help For Heroes. I am a massive fan of the site and what it is attempting to do, and as it has a number of publications concerning Rotherhithe I have drawn attention to some of them here. Other titles can be found by entering "Rotherhithe" into the British Transport Treasures search engine. Andrea Byrnes. Picture Window theme. Powered by Blogger.